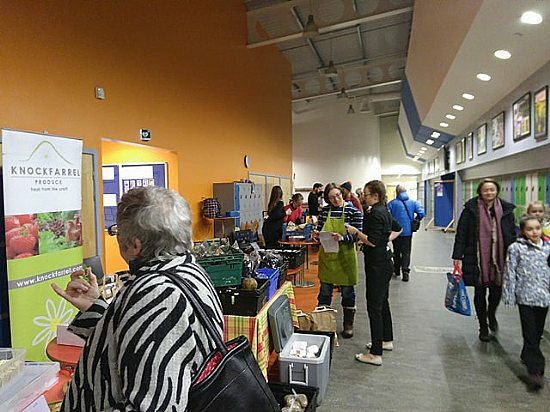 The Dingwall Academy Market is a partnership between Dingwall Academy and MOO Food. Our aim is to provide an easy, accessible, weekly market that connects the community to local, environmentally conscious, healthy options of food, drink and lifestyle. Dingwall Academy is committed to providing a range of in-school opportunities for pupils to develop employability skills and this enterprise is another opportunity for student involvement. Students have been involved with developing website along with Black Isle Web Design and going forward will take the lead on maintaining and updating website. A cohort of students will lead on marketing and promoting of market. Each week at our collection a team of students will greet shoppers to ensure they have a positive experience visiting our market. As the enterprise develops students with a range of interests and skills will be encouraged to join the team. The Inverness online market re-opened in October under the auspices of The Great British Food Hub, with local grower and TBI member Dan Ross as its host. "Browse hundreds of delicious, LOCALLY produced food & drink online. Get access to products you simply cannot find in shops and supermarkets! Order day or night direct from dozens of LOCAL food & drink producers using one shopping basket and our super- secure payment provider. 90% of what you spend at a Food Hub stays in your LOCAL economy. Your support helps LOCAL family businesses thrive awhile you and your family benefit from the best food & drink! There is a wide range of meat available at your LOCAL Hub from wild venison and free-range pork to lamb and free-range chicken. Be assured that we only work with farmers who share our ethos that animals reared for meat should have the best life! All hubs have at least one producer supplying locally grown, fresh fruit and vegetables. The range is constantly changing with the seasons and the variety of produce will challenge the budding cooks and chefs amongst you! 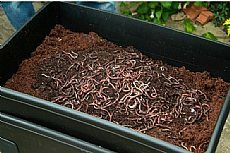 "The click & collect model makes shopping quick & easy. Customers can shop from local food & drink producers they might otherwise never know about and reconnect to their food, learn how it was produced – it’s the ultimate in traceability! Producers are rewarded with a fair price for their hard work, with 90% staying in your local economy! 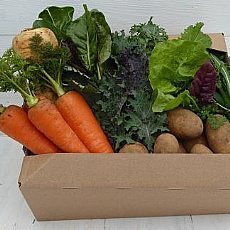 Food miles are super-low as producers are local to each Hub and food waste is reduced as they only bring produce that has been pre-ordered online. Bringing everything full circle is the fact that producers too want to connect with their end consumers, share their stories, receive feedback and ideas direct from those who are going to enjoy their goods." 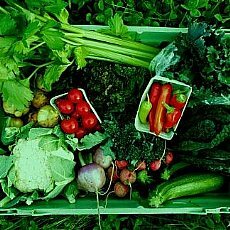 The Food Assembly - a Europe-wide network of local online produce markets - closed in the UK at the end of September owing to insufficient suport. You can read a message from the organisation here.
" After a successful Harvest Market on 26 October we are going to take October off - everyone needs a break after a busy summer. Then at the end of October we are going to launch our Dingwall Academy Market - this will be an online market similar to Food Assembly platform and our collection time will remain 4-6 on Wednesday. "The super exciting thing about this enterprise is it will be managed locally by a partnership of MOO Food (a local community food company) and Dingwall Academy. Pupils of Dingwall Academy are already working with a professional web designer to develop our new website. Through this enterprise pupils will have the opportunity to gain valuable work experience in many different roles from marketing to accounting and website management to customer service, as well as learn about the important role local food has in a sustainable food system. "If you have any questions or ideas you liked to share then please email me at emma@moofood.org . Also, please email me if you'd like to be added to new customer database. "Until our website is up and running we will be using Facebook as means to share information and updates."